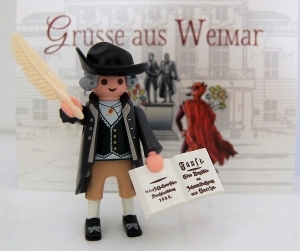 Goethe and Weimar - that belongs together! 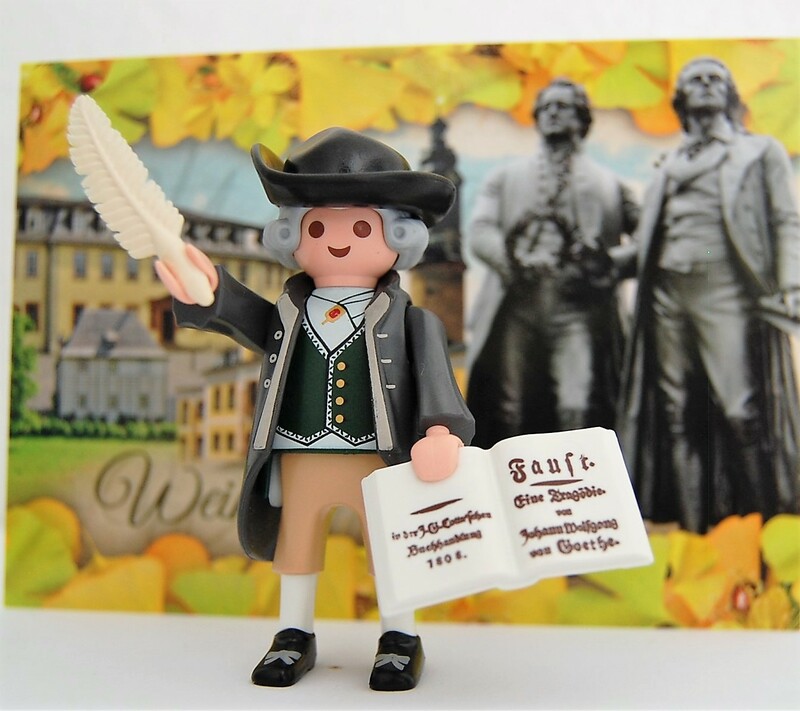 But what have Johann Wolfgang von Goethe (1749-1832) and PLAYMOBOL inventor Hans Beck (1929-2009) in common? A Thuringian story. Hans Beck was born in the city of Greiz. Goethe lived and worked for over 50 years of his life in Weimar. Among other things, he has completed his "Faust" here. But not only as a poet has Goethe left his mark in Weimar and Thuringia. He also made a name for himself as a scientist, lawyer and politician. With the release of the special PLAYMOBIL figurine, the polymath will post a special honor posthumously. The Goethe figure was developed exclusively by the Ministry of Economic Affairs together with the company Playmobil. Here, the concrete design of the figure leaned on historical paintings of Goethe and is characterized by many loving details. Of course, the little poet laureate also holds the "Faust" in his hand, which he completed in Thuringia. Nicht geeignet für Kinder unter 3 Jahren, wegen Erstickungsgefahr durch Kleinteile! Der große Goethe - ganz klein. Tolle Idee von playmobil!